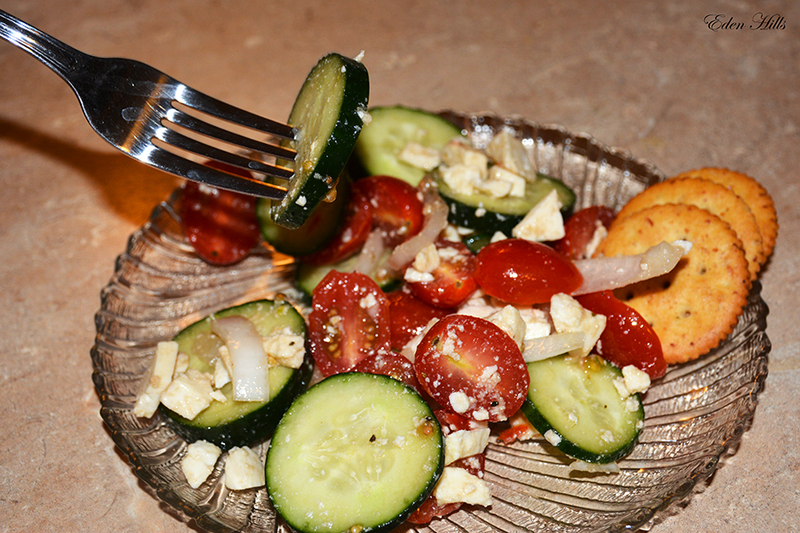 I’m still looking for great recipes to try using my feta. When my family was coming for Christmas eve, I decided to try another salad. 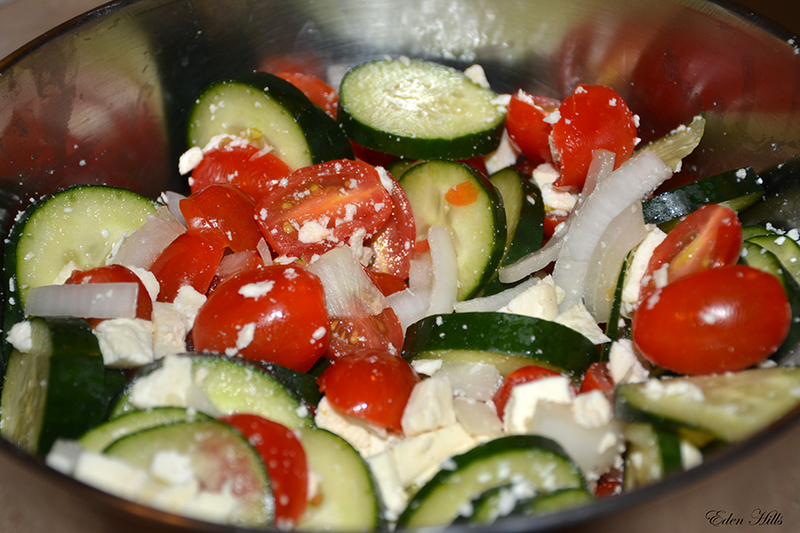 The salad itself is quite simple–just chop some cucumbers, tomatoes, onion and feta. I left it mixed and chilling in the refrigerator until just before serving. 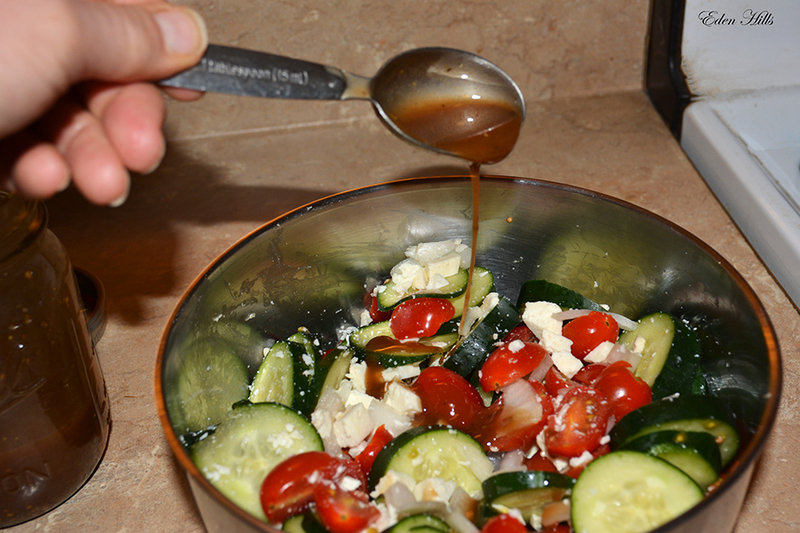 The dressing has an olive oil base. 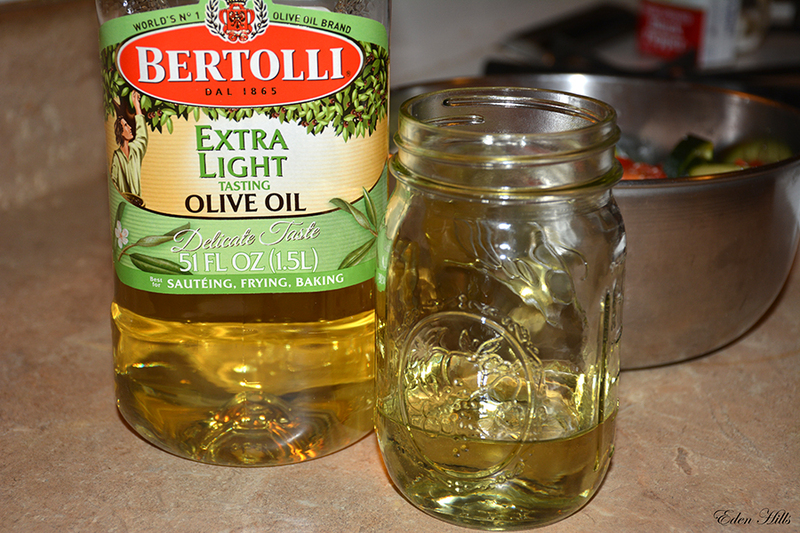 I confess I’m not a fan of oily dressings, so I used my extra light olive oil and added the spices. 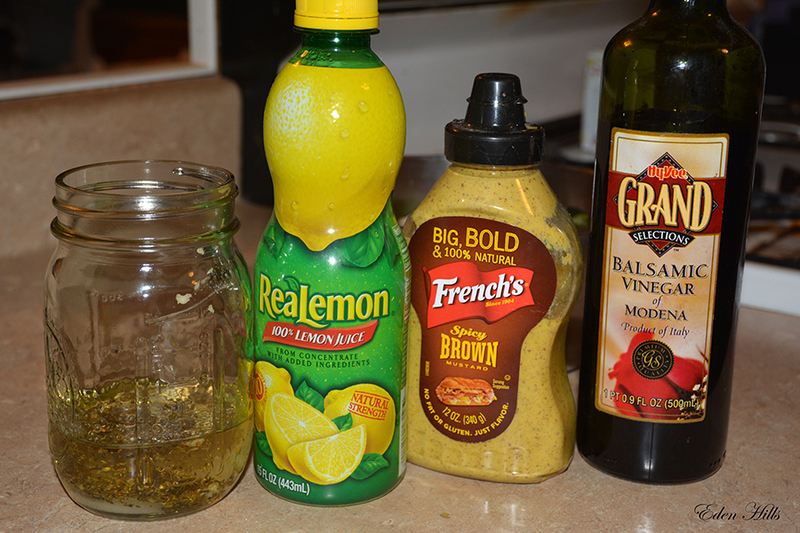 Then I added the rest of the ingredients. I shook it in my jar, and it was ready. 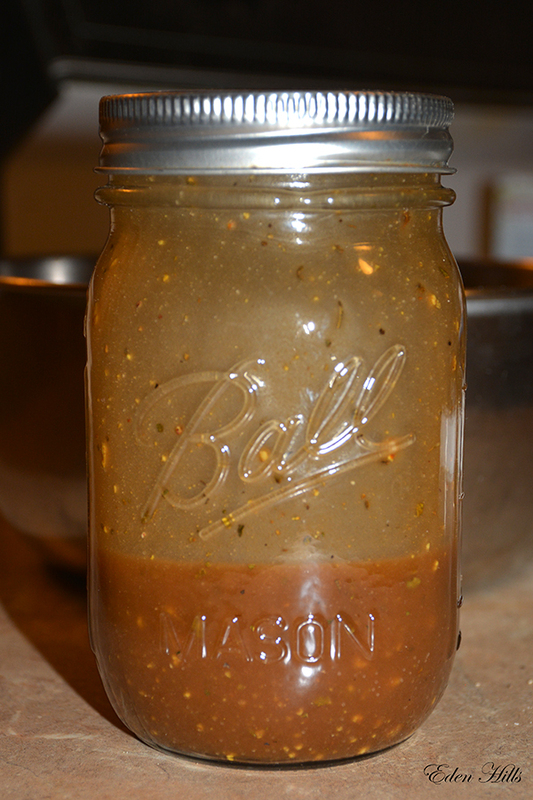 Right before serving, I drizzled some of the dressing on and mixed it up. I think it turned out quite delicious! I even like the dressing on just a lettuce salad too.